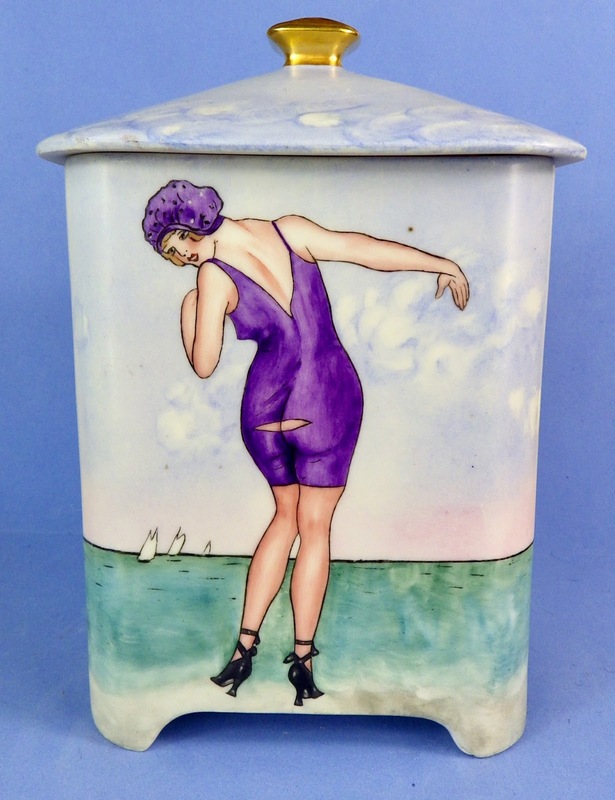 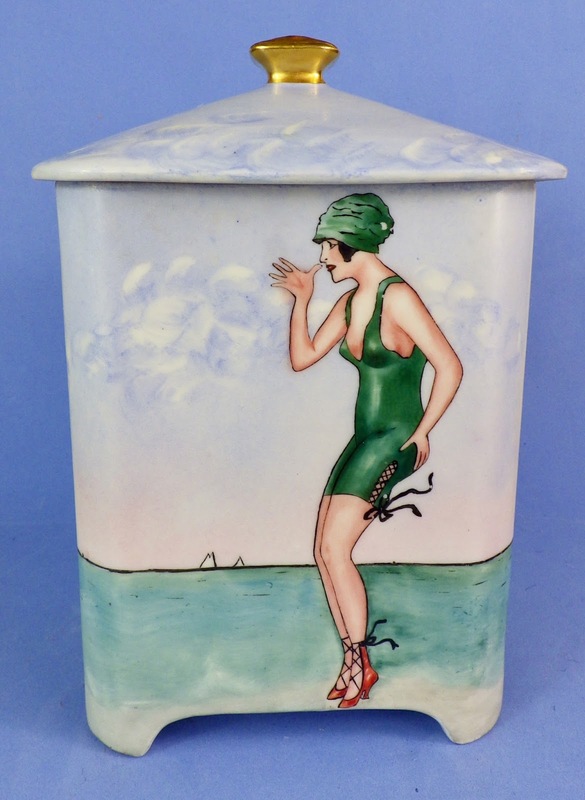 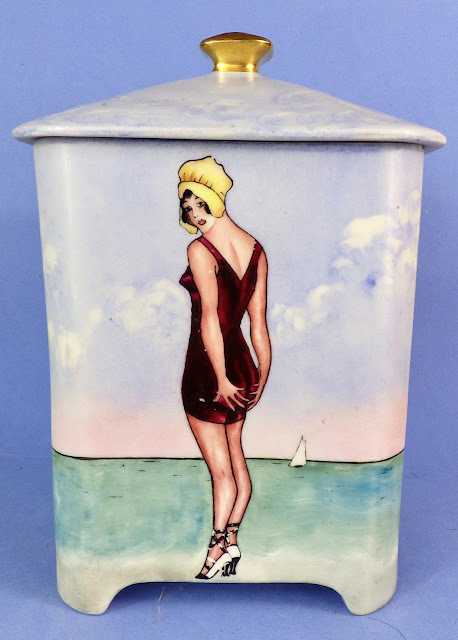 This humidor is hand painted on each side with a different bathing beauty striking a coy or comic pose. 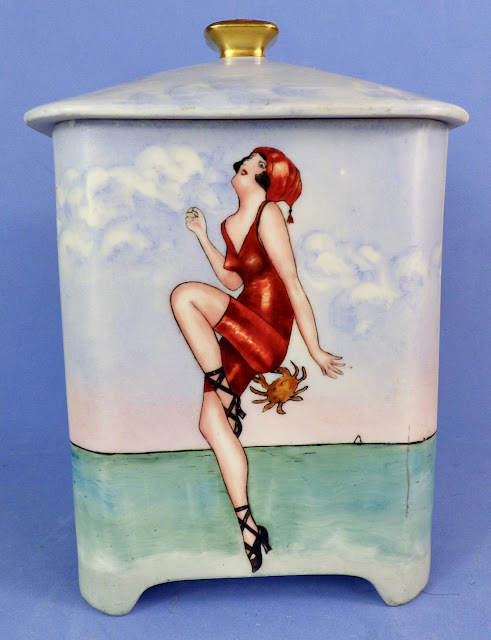 The 7 inch tall container has a space under the lid for a moist sponge to keep the tobacco from drying out and is marked underneath with "B & Co. France," the mark of L. Bernardaud and Company in the Limoges region. It is also signed "L. Lemkuil," no doubt the painter of this porcelain piece. Although the quality of the decoration is quite good, Lemkuil does not appear to have been a professional employed by Bernardaud, but was most likely a talented amateur who purchased the humidor as a blank. 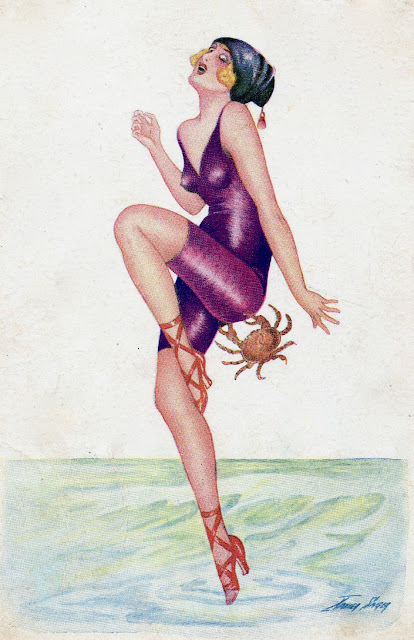 Lemkuil clearly copied the bawdy bathers from this series of postcards by French artist Xaiver Sager (1870-1930), one of the number of boudoir artists and illustrators who populated the pages of publications such as La Vie Parisienne, as well as innumerable postcards, with gorgeous gamines and kittenish coquettes. 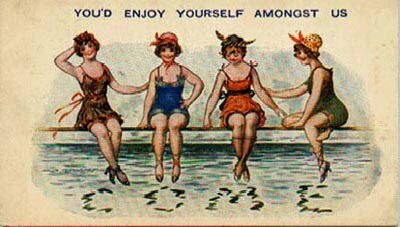 This baigneuses series dates from the mid to late 1910s.